Things are not as peachy as they used to be as far as the economy is concerned. Nowadays, having one job often doesn’t give you enough money to allow you to sustain a healthy, safe and reasonably comfortable life for yourself. This is why so many people are working multiple jobs over various parts of their days and weeks. If you are short on cash, you should seriously consider moonlighting as well. It is important to remember that there are so many opportunities for you that would earn you a significant amount of extra money, enough that it could help you seriously upgrade your standard of living overall. If you have a passion for writing, try writing blogs. If you are a good driver, Uber is a great option to look into. You could start buying items at yard sales, sprucing them up and then selling them on eBay. 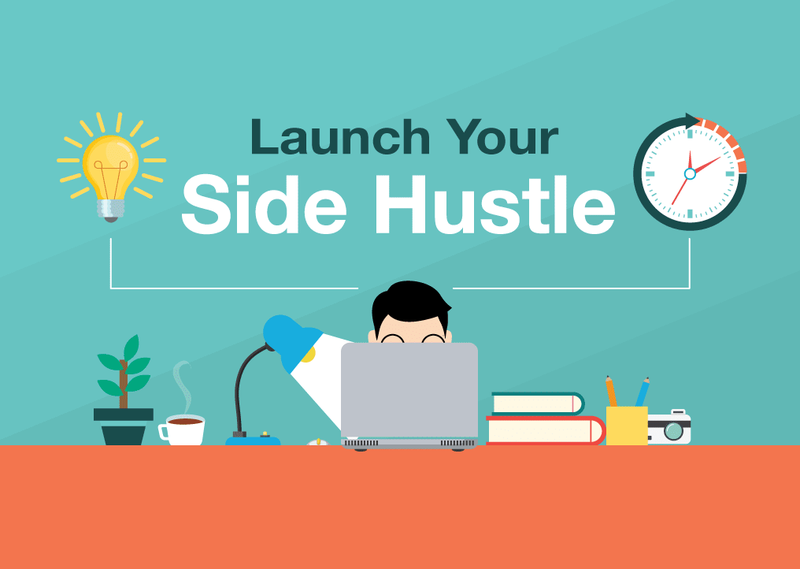 There is no end to the number of side hustles that you can potentially have even if you only have the most basic of skills. The infographic below will give you a lot more ideas about things you can do in order to supplement your basic income. Read Next: How to Make $100,000+ with Google Adsense (infographic).